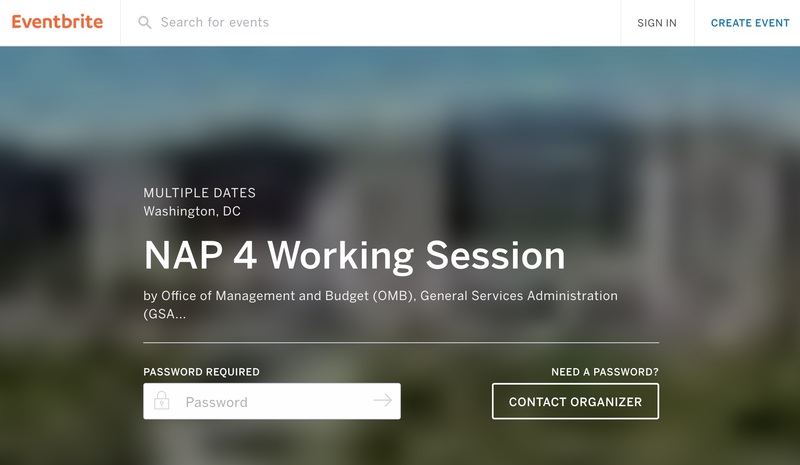 On May 29, senior officials from the White House Office of Management and Budget and the State Department confirmed that the United States will developed a new National Action Plan for Open Government for the Open Government Partnership this spring and summer, hosting two “co-creation” events in June and re-opening an online forum for public comments on Github. The State Department announced that the U.S. would be restarting the consultation process for building a new plan. TheOGP Global Summit in Tbilisi, Georgia on July 17-19. The last one was in Paris, France in December 2016. This year,they are streamlining the number of attendees (1000-1500 versus ~3,000 in years’ past) and limiting the number of panel discussion themes to three: anti-corruption, public service delivery, and civic participation. o There is a Google Group to share information and a Github account. Unfortunately, Github is not accessible to everyone. Can the group be sure to use the google group to share? o Can you talk more about the OGP co-creation events? Whether the United States government actually follows through engaging the public almost a year later in an open process that involves that “collaboration of citizens, civil society, political and official champions and other stakeholders” is an open question that will be answered over the next month — but there’s ample reasons to be skeptical, given political polarization, partisan rancor and low trust in government. Almost a decade ago, we saw what the Obama administration at least attempted to do with Change.gov and then the Open Government Initiative. Two government-hosted events in DC and a Github forum are not going to be meet the more robust standards for public participation and co-creation that OGP has promulgated after years of weak consultations. The Open Government Partnership was designed to be a platform that would give civil society an equal seat at the table. That would means not just voting on a pre-existing management agenda or pre-populated commitments from closed workshops, but getting commitments that are responsive to the great challenges that face American democracy into the plan, including ethics reforms. In the Trump era, until we start seeing seeing federal agencies, Cabinet members, and the White House itself using social media, mobile devices, radio, and TV appearances to not only inform and engage the public but to incorporate public feedback into meaningful government reform proposals, unfortunately there’s little reason to trust that this newfound commitment to open government is serious. Use apps. Not too much. Mostly productivity. Here’s the key contention: for many of the apps that people uses the most, there is a time when the law of diminishing returns kicks in, after which time more use begins to leave us with increased regret. That’s about 20 minutes a day, for Facebook. I do wonder if Facebook’s internal data would show about how happiness changes over time, across different interactions. I suspect more time interacting with friends and less time passively consuming pictures and video is correlated with more positive feeling. 2) lots of time spent on some apps are strongly enough associated unhappiness that people struggling with depression should probably delete them if they cannot moderate use. 3) In aggregate, this likely adds up to unprecedented combination of cognitive loads for people who spend a lot off time every day staring at their smartphones (ahem!) which may explain our complex relationship we have constant connectivity.